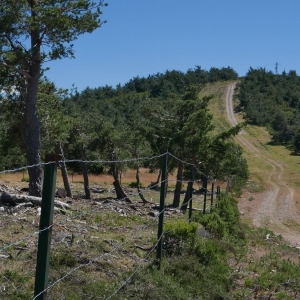 There are no prepared routes for mountain biking in La Rioja except for the routes of the Centro BTT Moncalvillo which are situated close to the Ebro Valley and far away from the Sierra de Cameros. 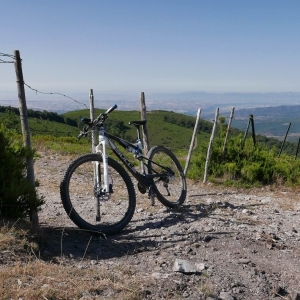 Many interesting GPS tracks for mountain biking in La Rioja (and beyond) can be found on the website of Momias Rioja BTT, the routes on this website focus primarily on the area around Logroño, the capital of La Rioja. 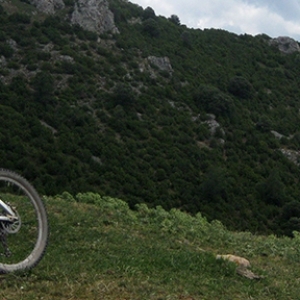 The MTB cyclist Chebaka also published numerous routes in La Rioja, both on his website and on wikiloc. 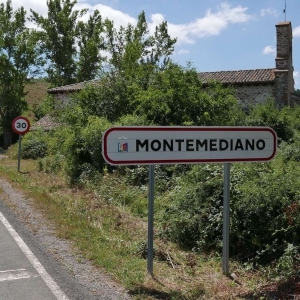 In addition I share with you some routes that I liked in La Rioja, particularly in the area of El Rasillo and the Sierra de Cameros. 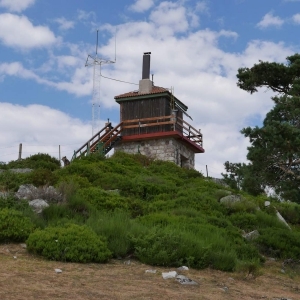 There is also a challenging and well organized circular MTB route called Ruedas de Lana that crosses the Sierra de Cameros and beyond in 5 or 6 days. I did it with five friends in october 2014 and I can recommend it. The organisation by Ruedas de Lana is very good, the route is very nice, accommodation, breakfasts and dinners are of very good quality. Transport of your luggage by Ruedas de Lana is optional, we made use of it, it is very convenient. 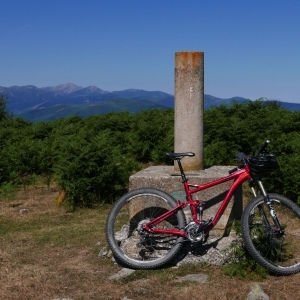 The bike I used from 2010 to 2014 was a 26 inch full suspension Trek Fuel EX9 (as show in the header), its perfectly suited for the terrain in the Sierra de Cameros, In the past I used to ride the ‘legendary’ Gary Klein bikes, a hard tail Klein Attitude and later a full suspension Klein Adept. These Klein bikes are still nice, but they are a little bit outdated for use in the demanding conditions of the Sierra de Cameros, both with rims brakes and no rear suspension on the Klein Attitude and not enough rear suspension on the Klein Adept. 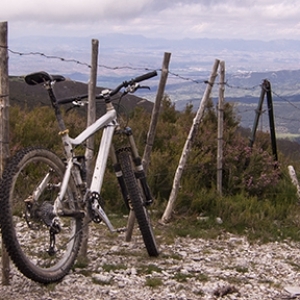 My Klein Attitude on the Alto de la Agenzana in 2005. In 2014 I bought a new full suspension bike, a Radon Slide 8.0 29er. I am happy with the bigger wheels, compared to the Trek Fuel EX9. The bike is a little bit heavier then my Trek Fuel EX9, but very robust. I like the bigger wheels but most of all I like the Rock Shox Reverb Stealth Seatpost which enables me to adjust the saddle height conveniently any moment I want to.